Shall we fight in the shade? Look, just, thank you. anyone who reads without being a follower, anyone of the 300 who follows, Thanks. Ron at FTW has been posting recently about why we do this, what our blogs are for. and this seems like a good place for me to answer. I’ll be honest, on my recent return to the hobby, I had no players around me at first, no local scene I was part of, and so to get opinion I went to a few forums. That was okay, I got some useful feedback, but after a while I began to notice that these forums were essentially cliques that were only interested in certain things, and I lost interest. It’s about that time that a couple of refugees in the process of moving from forum to blog were posting to each other, I joined in, and followed them here. one no longer posts, but the others were Big Jim and Admiral Drax. If you look right back at my first post, you’ll see Drax was my first commenter. The supportive nature of the blogosphere, and more than that the explosion of sharing of creativity and passion out here was enough to get me hooked. So I show people what I’ve been doing, and they tell me if they like it, luckily they often do. I also show people how I’ve done stuff, I suppose that’s the teacher in me; and I ask the community that reads questions to help me decide things. More recently I’ve been going to play games, both at the highly entertaining Blog Wars but also with fellow bloggers at their kind invitation. It’s been very good for my hobby life, and for that I thank you. If something I’ve done has been useful, or entertained for a short time, I’m honestly honoured to have been able to provide you with something. Well a whole heap of more of the same really, I am looking into finding a local club in order to try and get more games in, so that might see more batreps appear. 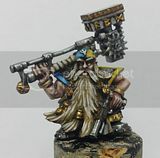 I’m also considering entering a few more IRL and web based painting comps, as I feel I wont start to get better really unless I’m putting my guys down next to other people models. oh, did I say thanks? At the moment I have no friends in the hobby, eventually I would like to change that so I can battle a bit. Maybe me and you can sometime and maybe I should ask my followers if they'd want to. Great words man and congrats on having 300 followers. You are welcome mate. This is a good way of showing of the hobby that we are in. And getting some advice and encouragement. Well done on reaching 300 followers very well deserved sone very beautiful models and well written posts. Amazing achievement. I've just realised I've hit 100 myself so will be celebrating that, but 300! Wow. Definitely deserved as well as you produce some brilliant content and paint beautiful models. Thankyou everyone, it's totally crazy to think, I remember being amazed when I hit 50! I know what you mean about the whole blog experience, I was kind of getting tired of the competitive scene and loosing interest in the hobby altogether, but once I got my blog launched and got some positive feedback it's really reignited a passion I haven't had in quite some time. Two Year Anniversary Prize (almost) Finished! With a day to spare!